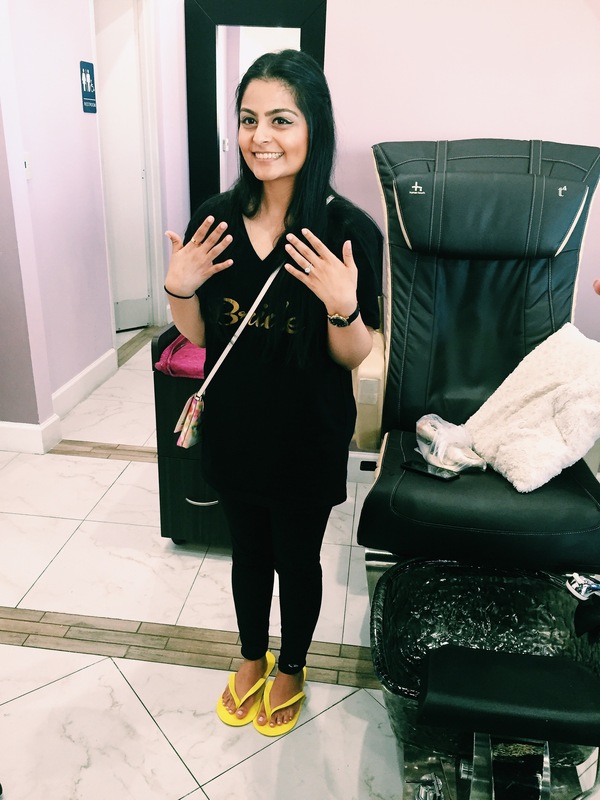 She asked me to be one of her bridesmaids a couple months ago and I, of course, said yes! 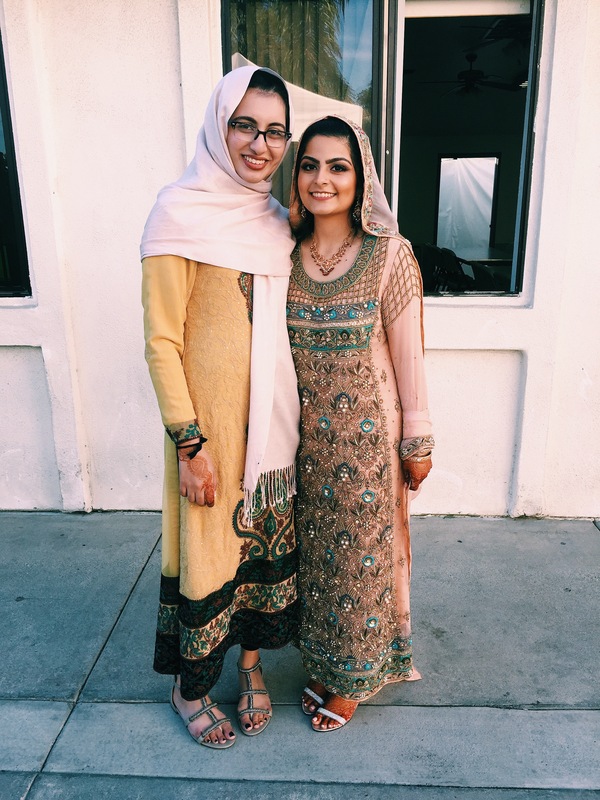 Having bridesmaids are a more western tradition that is sometimes integrated into our cultural weddings. 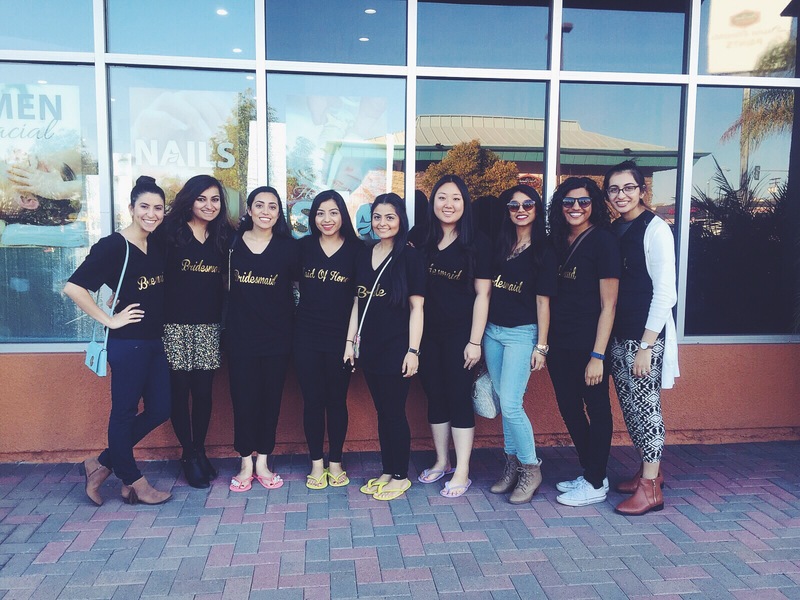 The day before all the festivities started, we had a ‘bachelorette party’ of sorts and spent the day getting our nails done + girl talk + getting henna. She got us all these cute t-shirts that said Bridesmaid and one for her sister that said ‘Maid of Honor.’ Since I usually do my nails myself because I can’t really afford to get them done often and I don’t have the patience or time for it, I decided to get something ‘complicated’ done that I can’t really do myself: french tip. And I loved how it turned out! Hoping I can get at least two weeks out of this manicure. 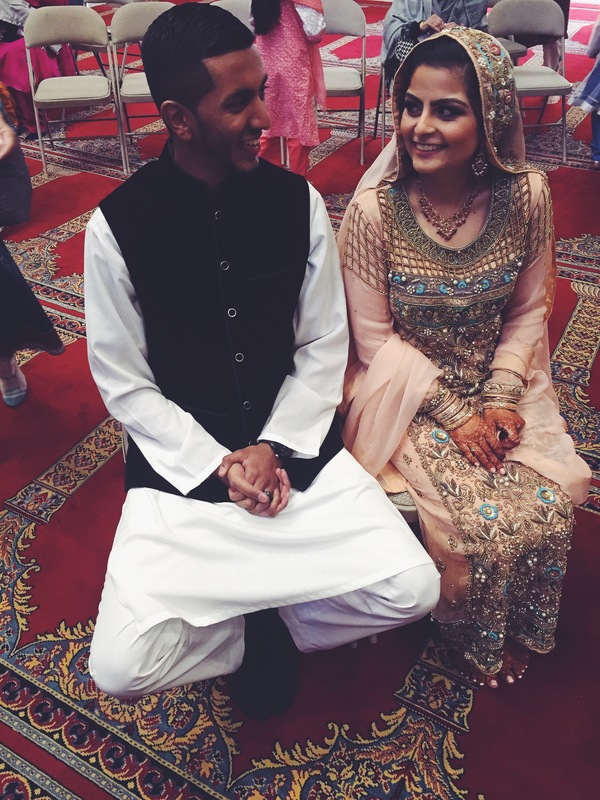 The nikah is actually a part of our religion, Islam (not a cultural thing like the rest of the events) and is only done at weddings where Muslims are getting married. 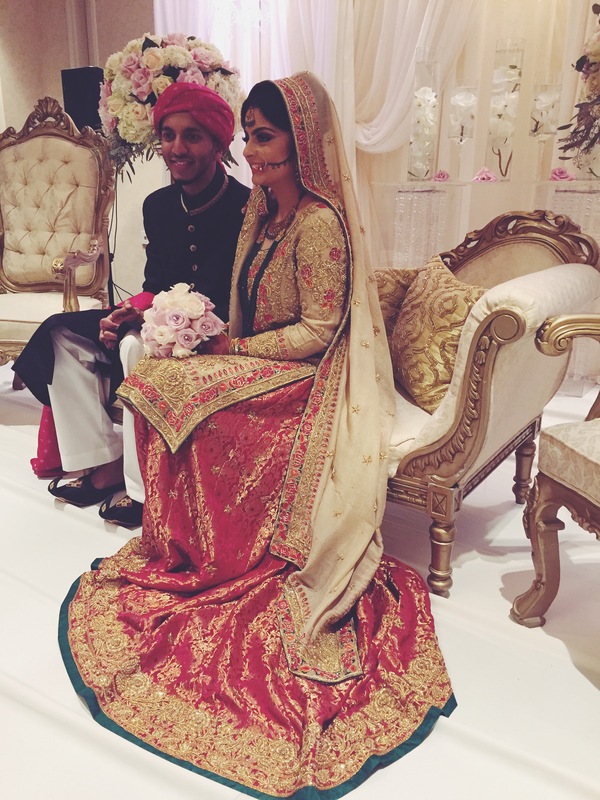 The nikah is the religious ceremony that unites woman and man in marriage and it’s actually a really simple and short ceremony. 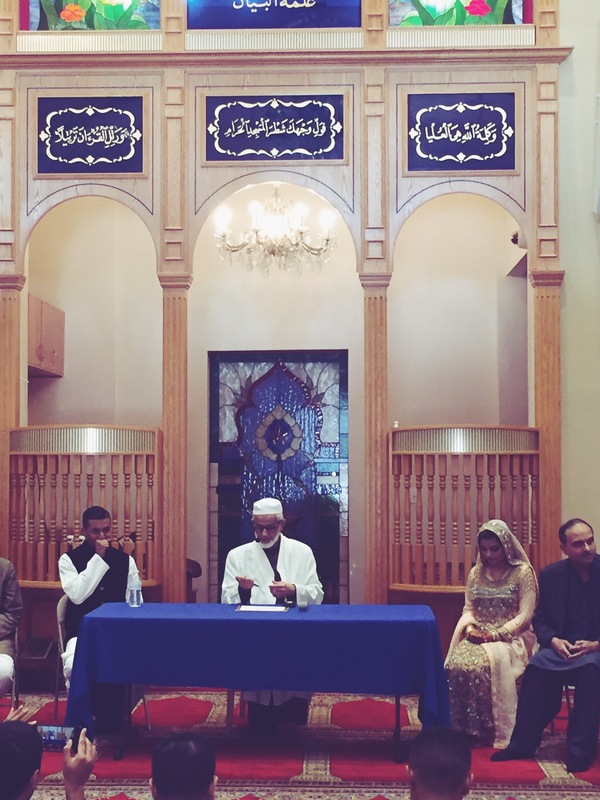 In Islam, marriage is considered highly important and simple. The idea of being ‘completely settled’ before marriage isn’t something that’s part of our faith because we’re encouraged to love each other and grow together through our lives. Obviously, there has to be an emotional maturity for two people to be able to spend there lives together. 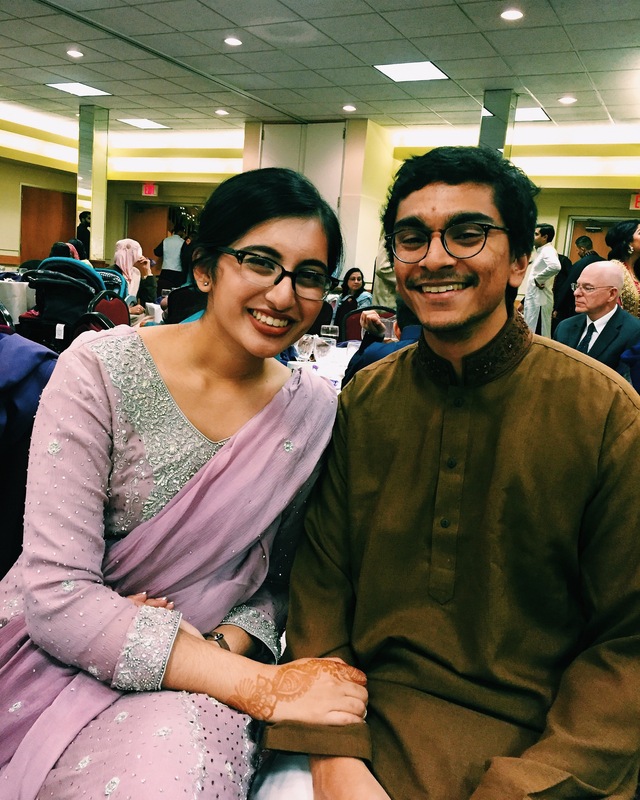 But so often I see couples not being able to get married, despite very much wanting to do so, because of cultural pressures to have their entire lives figured out before they can be together. To me, that doesn’t make much sense because who ever figures their entire life out and if you’re really that ‘settled’ before you’re with someone, it becomes difficult to integrate another person into your life because you’re so used to being on your own. 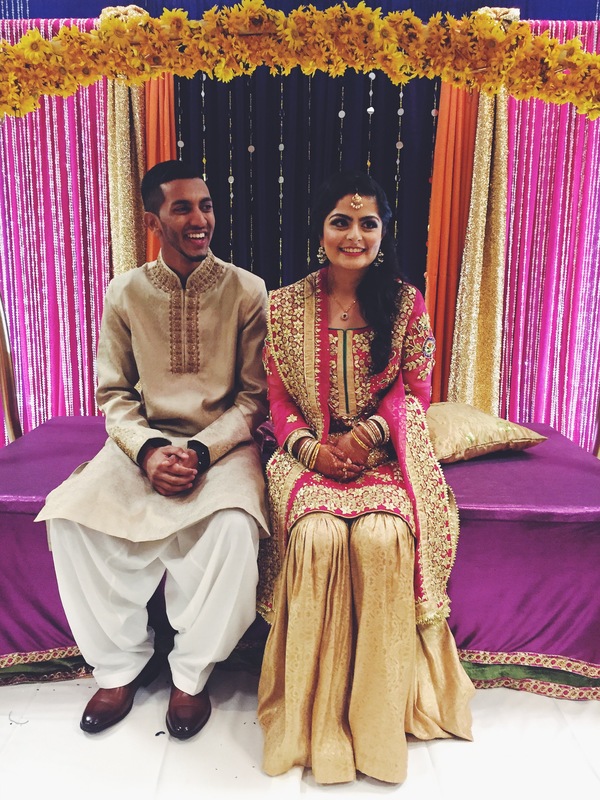 The ceremony usually consists of a short sermon, followed by an exchange in ‘vows.’ They’re not exactly vows but more like two people verbally committing to spend their lives together in front of their loved ones. This is always my favorite part of weddings because that’s when a couple is married. And it just makes my heart really happy to see the people I love so happy to finally be together in the way that they want to. 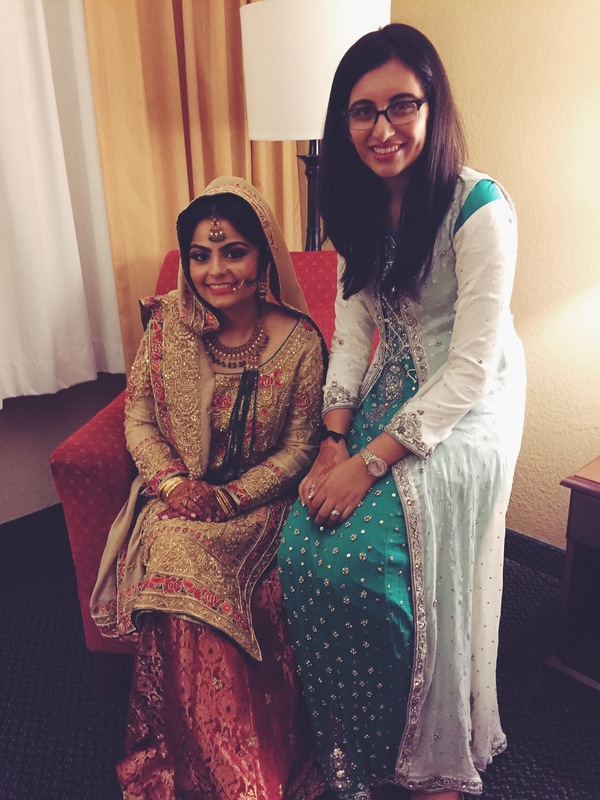 The nikah ceremony took place in the afternoon and the mehndi was later that evening so after the ceremony we hopped in the car and grabbed some fast food before meeting my friend’s hair and make up artist at the hotel so she could start getting ready (yes, being a bride is quite exhausting!). 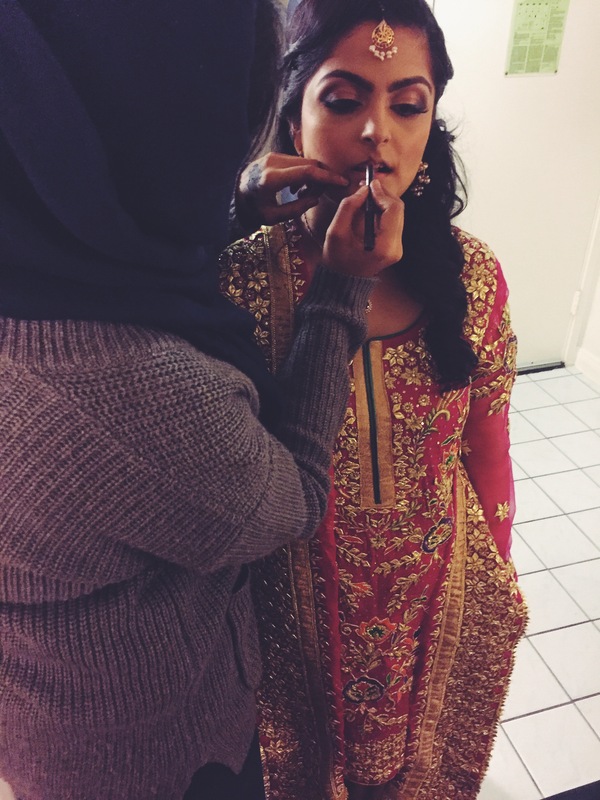 Traditionally, the mehndi used to be a smaller event for close friends and family at the bride’s home while she had henna done on her for the wedding events. 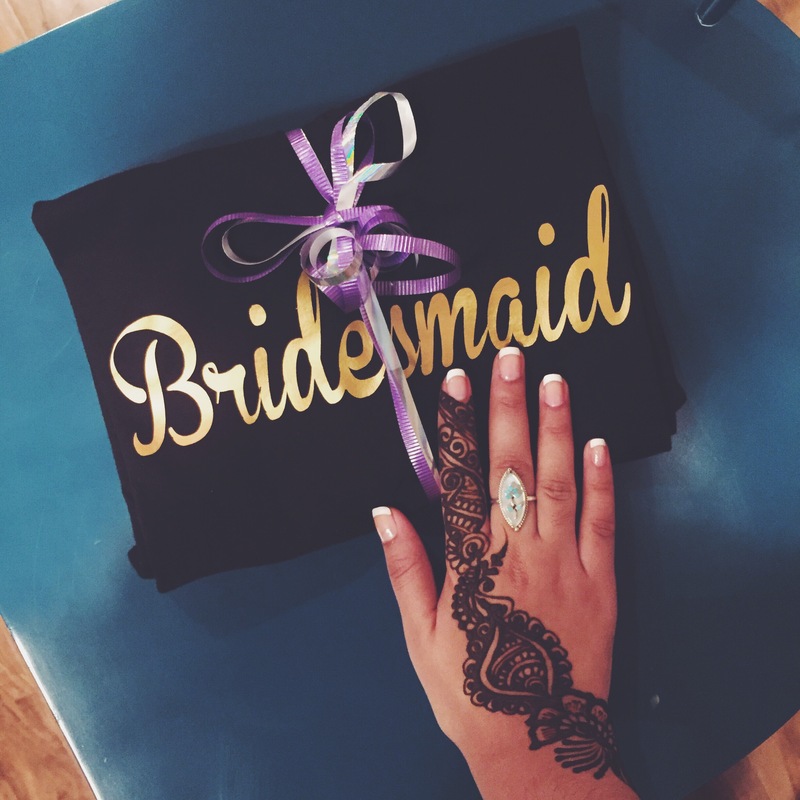 Now, however, the bride usually gets her henna done the day before and the henna party is just another party. 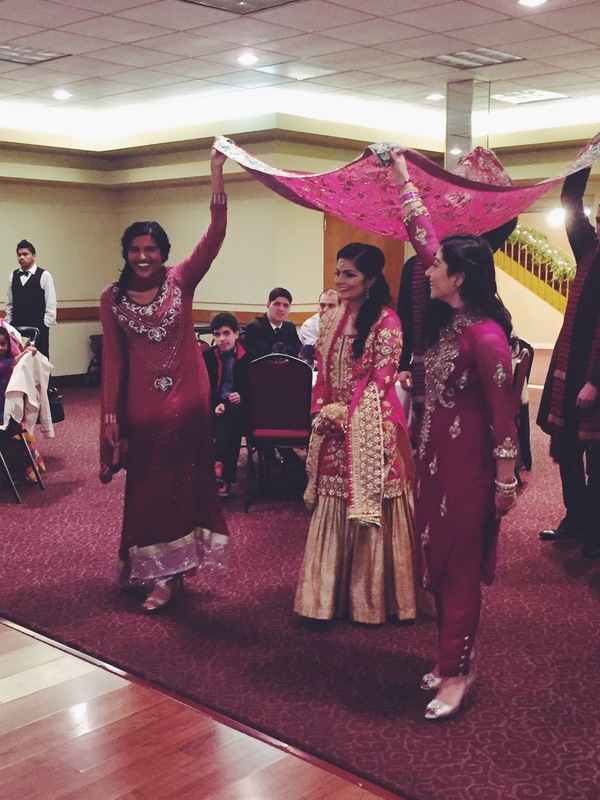 The Mehndi is usually the event where the dancing/performances take place and it’s usually full of very bright colors. 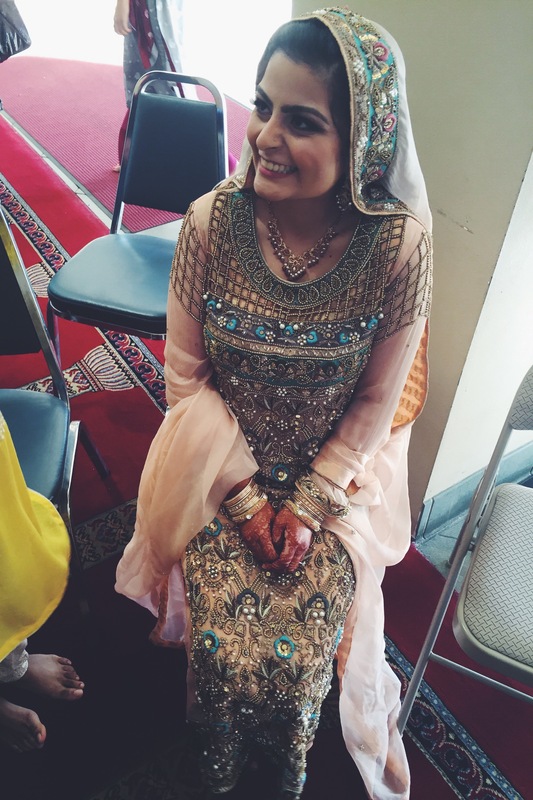 This is the outfit I wore during my nikah and got a chance to wear again at the Mehndi this weekend! The bride requested that we wear shades of pink and purple and this was the only thing in my closet of those colors that still fit me. After she got ready, all the bridesmaids and a couple friends walked her into the event and onto the stage where her husband was waiting! Hubs had work for part of the weekend so he could only make it to one event but he made an appearance! We started reminiscing about our wedding weekend and how far we’ve come since then. Alhumdulilah, for all the blessings. 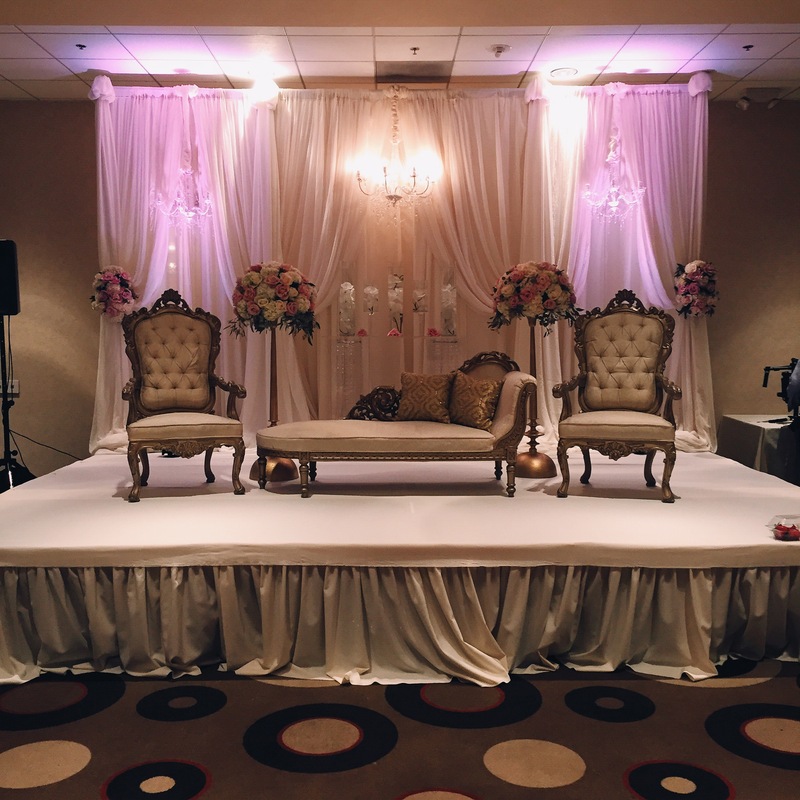 The last event was the shaadi and what I think most people would consider the ‘real wedding’ event. Everything was absolutely stunning! I was running around for the majority of the event so I didn’t get to take many photos but I’ve included a couple below. 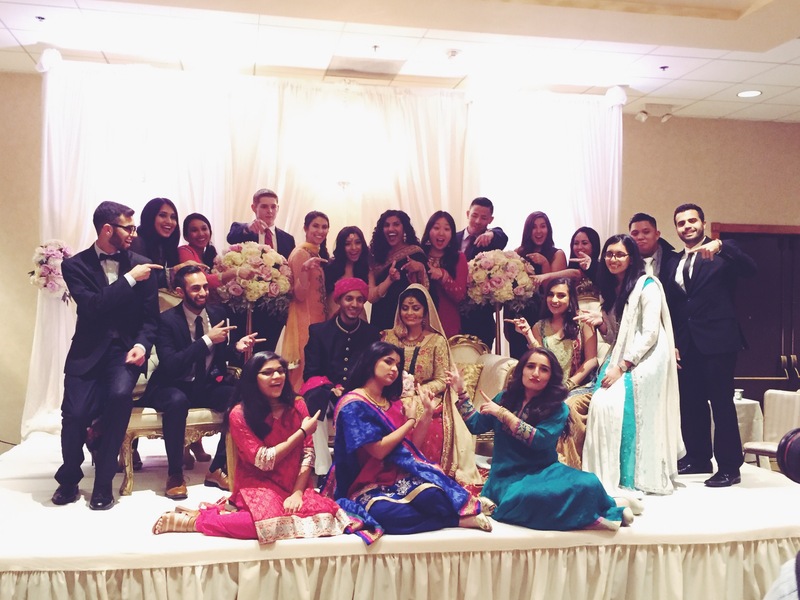 We managed to sneak in a ‘friends’ photo in the midst of the bride and groom’s families. Photo politics at weddings is no joke! But I’m glad we were able to at least get in a couple! Overall, the wedding was so fun! It was great spending so much time with people I don’t get to see very often anymore since we’ve all gone our separate ways since college. I’m so so happy for my friend and her new husband! May God bless their relationship immensely and may He make them a means for success for each other. so pretty! 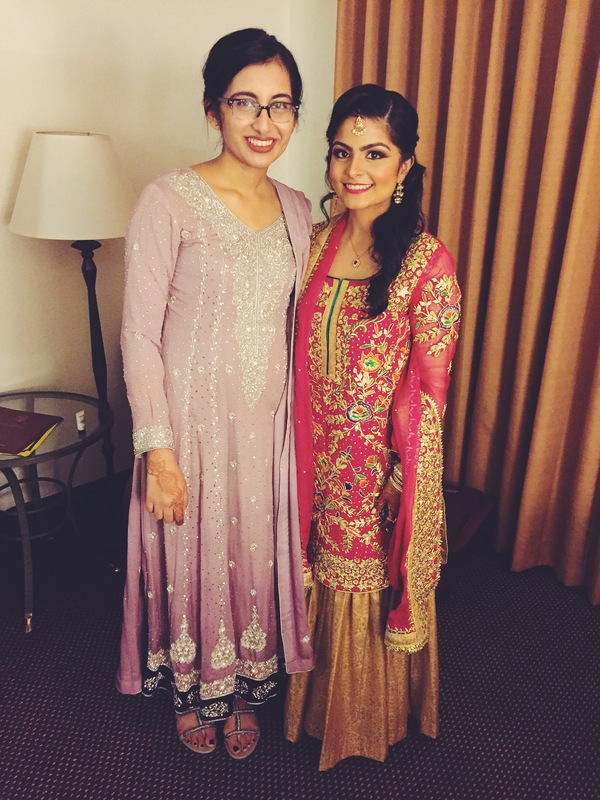 love desi weddings! 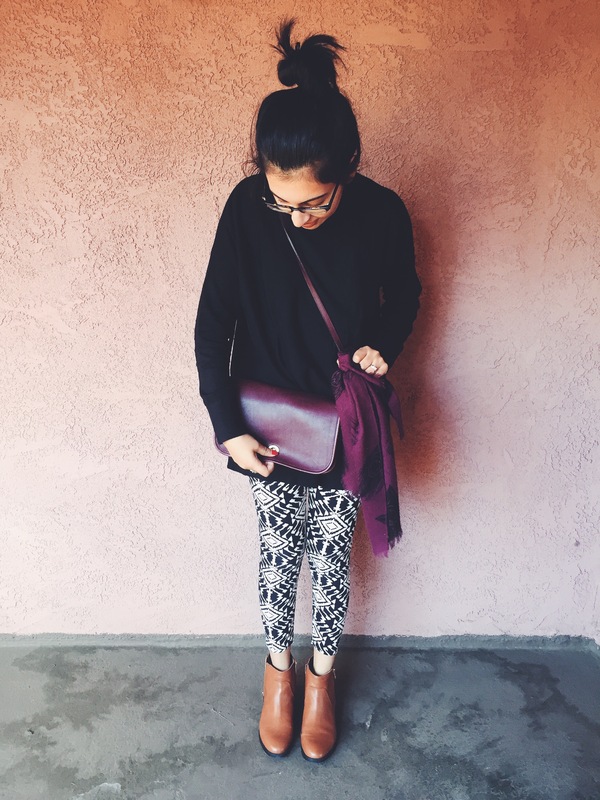 i love your light purpleish outfit btw! Beautiful smile with your husband 😉 I love the outfits too. Why ‘sharkandrhymes’ though?